This year’s Eurocon is approaching fast! The convention will be held in Barcelona on November 4-6. The program has been ready for a couple of weeks, and there’s a lot to be looking forward to: interesting talks, panel discussions, cultural events, award ceremonies… I’m on two program items I’d like to invite you to: one panel discussion and one popular science talk. Although we know that the Fermi Paradox is not exactly a paradox and not exactly Fermi’s, the question “where are they” remains an interesting food for thought for science fiction authors, scientists and the public as well. To attempt to answer it (even if any truly reliable answers are far away due to the lack of data), we can look at the number of potentially habitable planets in our galactic neighbourhood, cultural aspects of our technological civilization, difficulties of interstellar travel, percolation theory models of colonization, and much more. We’ll be discussing the topic with authors and editors Jonathan Cowie and Ian Whates. My Saturday talk ended up with a somewhat provocative title “Is Venus habitable?”. We’ll look at the largely unknown past of the proclaimed “Earth’s sister planet” (Could Venus have had liquid water oceans at some time? For how long before its greenhouse effect evaporated the last bits of them? Could it have had plate tectonics and effective geochemical cycles when it still had water – if it had?) and thus chances of potential habitability in the past, current conditions in its cloud layer, life in Earth’s atmosphere, our historical thinking about Venus and more. I’ve been planning to write a popular science article about Venus’ past for some time, and I hope to have it ready not long after the talk. 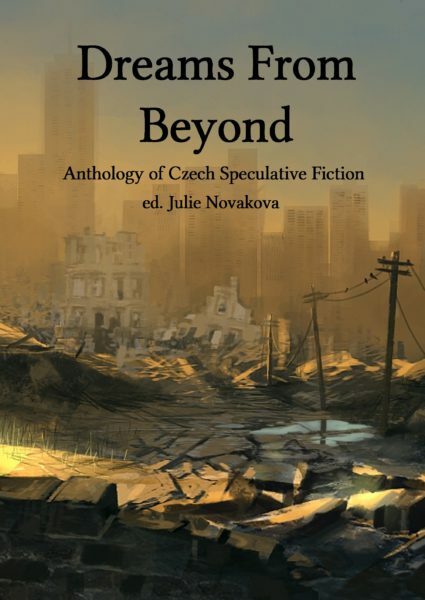 I’m also going to launch an anthology of Czech SF in translation into English, Dreams From Beyond. It’s one of several anthologies from different countries, edited specially for this year’s Eurocon. And something for my fellow Prague-dwellers: Before Eurocon, I’ll be having a public reading and discussion about the relationship of science and science fiction at the Czech Centre in Prague as a part of the Week of Science and Technology. It’s on November 2, starting at 17:00. The day after is a press conference about the involvement of Czech students in astronautics. It starts at 11:30 in restaurant Mamacita Catalina in the Mucha Hotel in Karlin, Prague, and it’s also a part of the Week of Science and Technology. I’ll be talking about this year’s IAC and science outreach through astrobiology. After that, off to Barcelona! Update: Eurocon will be streamed live here, so you can watch it from anywhere! Following Fermi panel – where are the aliens – do keep in touch. And if you feel like writing a biology/SF related article for the Science Fact Science Fiction Concatenation at http://www.concatenation.org then doubly keep in touch.